Kratom in Portland: Does It Face a Bad Reputation? HomeBlogKratom LegalityKratom in Portland: Does It Face a Bad Reputation? Kratom has long been used in many parts of Asia to cure a myriad of diseases and has done so in the practice of alternative medicine—curing illnesses people would have thought to last forever! This miracle herbal supplement has just entered the United States and is quickly gaining favor from people who are now loyal to the herbal supplement that has changed their lives. A recent challenge has risen, though, in Portland, Oregon, with two cases of salmonella and national outbreaks being linked together. Could this possibly spite the end of a much needed herbal supplement to become part of the herbal market? Or will it strive past this challenge and come out on top despite the challenges the government and state are placing on Kratom in Portland? As of now, health officials are warning people to avoid the use of kratom in Portland, whether it is leaves, pills, capsules, tablets, tea, or powder, to avoid the potential harm it brings. This is because of the two recent cases with the use of kratom that have resulted in traces of salmonella, one of which led to hospitalization, though both cases have recovered. This caught the attention of officials because of the current outbreak occurring on a national level connecting to the spur infection of 48 cases in 30 states. This forced the hand of the officials to go into action and tested samples of kratom throughout Oregon to find out if the product really was deemed to be a very hazardous herbal supplement. Quite shockingly though, 15 samples came back positive with traces of salmonella after being tested which has sparked up talks into banning the herbal supplement in the state altogether. But what’s completely more surprising was that the strain they had found in the kratom tested was completely different from what was tested in the national outbreak. This turned down the idea that the potentially harmful kratom product was coming from a centralized supplier but rather was more about the kratom itself. 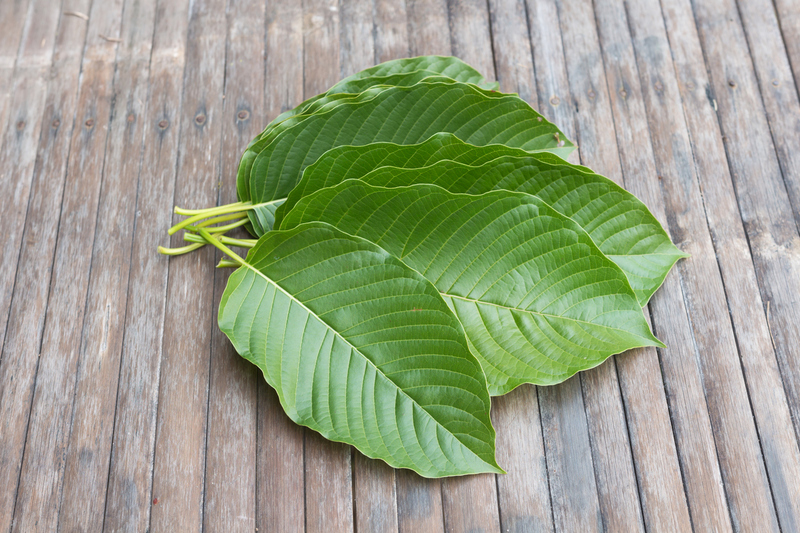 This led to the assumption that kratom in all its kinds has the potential to develop a strain of salmonella which could easily affect any of its users. Is Kratom Really Infamous as It Sounds? Quite the opposite actually, despite all the accounts and efforts the government makes to push the banning of kratom, what they fail to realize is that the herbal supplement is still in its infancy. The state at which it stands right now is still very early and lacks any real in-depth research or evidence on the herbal supplement if its alleged cons cannot actually be easily countered. No substantial evidence aside from the cases have been brought up to show that kratom in Portland is actually negatively affecting the population and its users. On the contrary, kratom has cured countless of problems for many of its users that would have otherwise been charged a substantially greater amount of money with traditional medicine. Officials cannot deny the potential this herbal supplement carries; this alternative medicine has the capabilities to heal a variety of problems which cannot be addressed by normal strategies. Kratom has proven itself in many Asian countries and is backed by a substantial amount of evidence that gears toward the positive effects it has on the human body with proper use. And soon enough the people in the United States will realize just how awesome this herb actually is. People should not be blinded by what the media is accusing kratom of. All of these will be looked over as the media begins to take hold of the salmonella cases and blow them out of proportions to push the banning of kratom by blinding the public into agreement. Kratom is not what the media makes of it, and there are countless of reviews you will find online that agrees to it being their miracle herbal supplement after trying several methods. Kratom in Portland should not be banned but rather progress and become part of the public’s options when looking for ways to cure themselves through herbal methods. Just always remember to check twice and find out if the kratom you are currently using or about to buy is safe and tested because kratom is not bad. Kratom has done more good to this world and will continue to keep doing well if given the opportunity.